Moving an entire office requires more than just manpower. It means meticulous attention to detail, extensive planning, and knowledge of all of an organization’s systems and components. No matter where in Southern Michigan you’re relocating business to, you need an experienced and skilled professional team to ensure an uninterrupted transition into your new office environment. Nowadays, the stakes are high. Every ounce of productivity enhances your competitive edge. You simply cannot afford the organizational disruptions and downtime that come with the typical move. 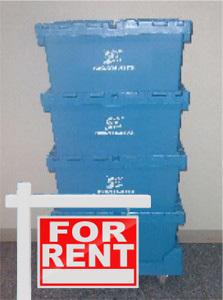 Michigan Office Movers understands that your business’s productivity is dependent on a quick and safe relocation. With these variables and numerous others in mind, Michigan Office Movers will provide you with a customized move plan for organizing, managing and coordinating all aspects of your commercial relocation. Throughout the duration of your project, you are provided with a single point of contact to ensure that pre-move plans are precisely followed and executed. Should you need additional help with an additional project along the way, we will be always there to assist you. As Southern Michigan’s premier office moving company, we’ve worked with a variety of clients across a wide swath of industries in both the public and private sector. It’s this extensive experience that allows us to customize each move to the unique needs of our customers. Our employees are specially trained so that they understand the intricacies and nuances of each organization. To setup a free analysis and estimate of your next office move project, please contact us by phone or fill in the form on the page.